Judge Patricia Millett asks the Federal Aviation Administration (FAA) to review the passenger safety relative to the incredible shrinking seats of airlines. Hate sitting in the middle seat? Airlines have constantly been shrinking your seat, without you even noticing it. If you’re a frequent flyer then you might have noticed that over the years, seat sizes might have seemed to fit less and less of you. US Federal Appeals Court Judge Millett calls this “The Case of the Incredible Shrinking Seat” and has asked the airlines to review the guidelines to make sure that passenger safety is not compromised. Here are some important points you need to know that contributed in the bringing of this case in front of a federal appeals court. 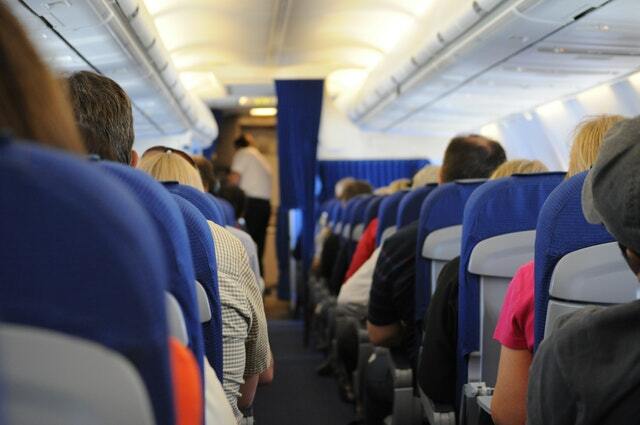 There are two things to know about airline seat sizes. The seat pitch is the distance from a seat to the seat in front of it, the higher the seat pitch the more legroom you get. According to advocacy group Flyers Rights, in the 1970s the economy class seat pitch was around 35 inches (89 cm) ; by 2015, it was down to 31 inches (79 cm), an 11% decrease. In the meantime, the seat width shrunk from 18 inches (46cm) to 16.5 inches (42 cm), totaling a decrease of 8%, the group argued. Flyers Rights argues that while the seat sizes decrease, the average size of Americans has been found to increase through the years. According to an interview from The Independent, Douglass Kidd, the executive director of the National Association of Airline Passengers, noted that the lack of seat size regulations led airlines to compete and cram more people in the aircraft, instead of competing in terms of value for money and service. However, judge Millett said that the comfort of the passengers is not under the concern of the federal court. Although the passenger comfort is not a priority for the federal court, passenger safety is. While the seat resizing has certainly affected for the better the seating capacity of the airlines, the same can not be said for passengers whose safety aspect, as a result of the actual seat sizes, may be put in jeopardy in case of an emergency evacuation. It should be noted that the court’s decision doesn’t necessarily mean roomy seats are on their way. The bottom line is the court cannot order the FAA to regulate on seat width. What it can do though, is through its ruling put the pressure on the FAA to give Flyers Rights good evidence that current seat sizes are actually safe. In fact, back in March, the FAA had said that its tests had proven that smaller seat dimensions had no impact on emergency exits. The agency however, refused to offer concrete evidence that backed up such claims. Which Sector is Worst, Homebuilders or Airlines? Are the Airline Stocks Due for a Rough Landing?